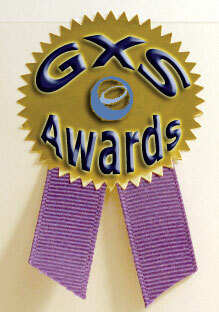 As I am reading through the pile of detailed applications to choose this year's winners of who best implemented GXS technology and services, I am impressed by the international pedigree of the contenders. I am also impressed that these contenders were able to drive adoption across, not only a large organization, but a cornucopia of trading partners. The result: a fatter bottom line, a competitive advantage, a scalable platform for growth, improved customer service, and the Pièce de résistance, the 2010 GXS Active Business Award. China Mobile and Rutronik tie for the Proactive Trading Partner Engagement Award. RUTRONIK Electronic Components GmbH is one of Europe's leading distributors of electronic components. The company has around 250 core customers with whom it exchanges about 30 million EDI messages each year. A base of 150 suppliers generates an additional 14 million messages. Messages include orders, invoices, dispatch notices, price catalogues, stock information and forecast requirements. What was most impressive to me was the ability to integrate a supply chain over a diverse global territory with fairly complex information. Rutronik was able to link customers and suppliers with these advanced transactions in China, South America, South Africa, Italy, and Eastern Europe, which are locations not known for their advancement in ecommerce. China Mobile is the world's largest mobile phone operator by number of subscribers, it operates the world's largest mobile network, it is the largest Chinese company listed overseas (NYSE: CHL) and it is the largest telecom carrier in Asia. China Mobile implemented GXS Enterprise Gateway as the backbone of their new Oracle centric B2B integration platform. The solution integrated hundreds of trading partners, from tiny mom and pop shops to multinationals. Yanmar for the Supply Chain Visibility Award. Based in Osaka, Japan, Yanmar Co Ltd, is a leading global manufacturer of diesel engines and diesel powered equipment for the construction, industrial, agricultural and marine markets. In order to respond to this increased demand for spare parts Yanmar had to find a way of improving the visibility of spare parts shipments between their factory in Japan and their global network of dealers and service centers. Yanmar deployed GXS Active Logistics Solution in order to gain real-time visibility into its global logistics operations from Japan to their global network of distributors and dealers across North America, Europe and Asia. In a matter of months, Yanmar was able to increase spare parts revenue while streamlining bottlenecks in the supply chain. As a result, increased customer loyalty has been central to Yanmar's competitive advantage over other diesel engine manufacturers. Kraft Foods and Novartis Animal Health tie for the Environmental Sustainability Award. As a division of one of the world's largest pharmaceutical companies, Novartis Animal Health US, Inc. (NAH) employs approximately 2,600 people around the world. NAH offers products and services to save, prolong and improve the lives of animals, focusing on companion animal, farm animal, and farmed fish. NAH chose GXS as our Managed Services Provider because GXS had a finely tuned skill set in the area of B2B and the support infrastructure to manage the traffic and Trading Partners. Beyond operational efficiencies gained by an integrated supply chain, NAH reduced their use of paper by 17 tons. When you consider the size of NAH, and the resources used for manufacturing, transportation and printing, on both sides of the supply chain, this is a significant success. Kraft Foods (NYSE: KFT) is the world's second largest food company, with annual revenues of $42B. Kraft implemented GXS's Active Invoices with Compliance solution as a way to address paper reduction and generate legally-compliant electronic invoices for European countries. GXS automated the process which ensures the documents are compliant with VAT regulations for each applicable country. Kraft eliminated over 26 tons of paper usage per year. Thank you Kraft and Novartis Animal health, you both serve as leading industry examples. Scott's Miracle-Gro for the Supply Chain Data Accuracy Award. The Scotts Miracle-Gro Company (NYSE: SMG) is the world's largest marketer of branded consumer lawn and garden products. The 142 year old company operates in North America, Europe and Asia, with 8,000 employees and has $3B in revenue. Scott's needed a way to comply with their largest clients' data synchronization initiatives at Home Depot, Lowes and Wal-Mart. Scotts chose GXS Product Information Management (PIM) Supplier Version, a GXS Product Master Data Management (Product MDM) solution. At the end of September 2009, Scotts had 656 items registered in with the GS1 Global Data Synchronization Network (GDSN) and 940 publications to 10 retailers. They continue to on-boarding new partners as more subscribe to use Global Data Synchronization (GDS) for their product information. Scotts will be able to leverage GXS PIM when key international accounts request Scotts' International Business Group to transform the new item setup process. Dr. Pepper Snapple Group for the Demand Responsiveness and Agility Award. Dr Pepper Snapple Group (NYSE: DPS) is one of the largest beverage companies in the Americas. DPS manufactures, markets and distributes more than 50 brands of carbonated soft drinks, juices, ready to drink teas, mixers and other premium beverages. DPS, under the demands of leading retailers, had the challenge of upgrading a data synchronization system that was slow and cumbersome. The existing system also could not support machine-to-machine pricing data; and, most importantly, full truck pricing could not be accomplished. DPS implemented GXS Price & Promotion Synchronization (PPS) for the base of what DPS now refers to as VORTEX (Vendor Optimized Retail Transaction Exchange). VORTEX has made it quicker and easier for DPS's bottlers to submit pricing, and has vastly improved overall accuracy and collection rates. Pricing errors at Wal-mart generally take three to five days to correct, resulting in thousands of lost beverage cases on major promotions. One glowing beneficial example of VORTEX success is DSP's annual sales at Wal-mart are up over 20% from last year. VORTEX played an important role in the overall success of their related promotions and new item introductions. Through October 2009, DPS has processed over 9 million pricing records to Wal-mart, which was impossible using the previous price collection system. Congratulations, your accomplishments are truly impressive. Many readers of the Global Trade Best Practices (GTBP.org) have been in the position of hearing a sales pitch from technology providers, who offer wild ROI promises. But when the time comes to deliver and the stress passes to the person who recommended the provider, the ROI promise gets lost in the paperwork. That is why people buy from people they trust. These award winners are at the top of their game. I look forward to getting more case studies from GXS. Cheers to a green 2010!